NASHUA – There was simply no way to sugarcoat it. 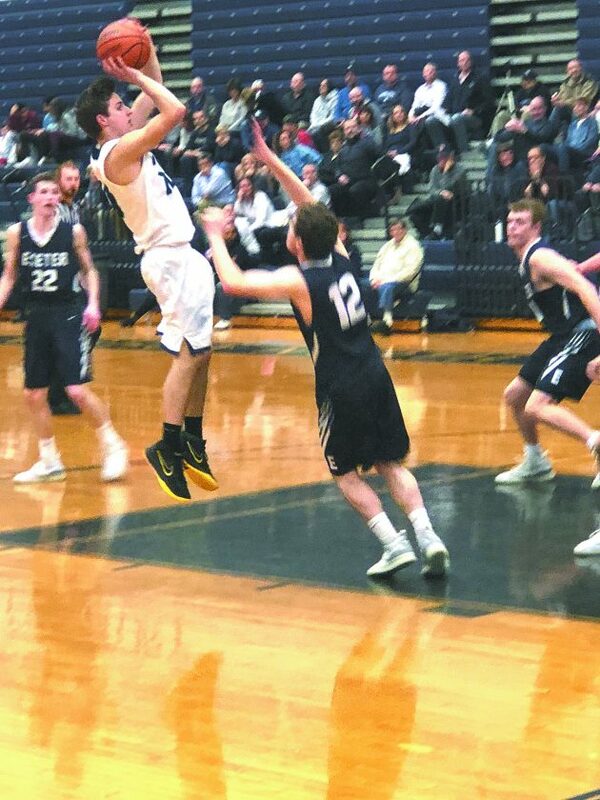 The Nashua North boys basketball squad faced an immense test on its home court against an undefeated Exeter High crew last night. 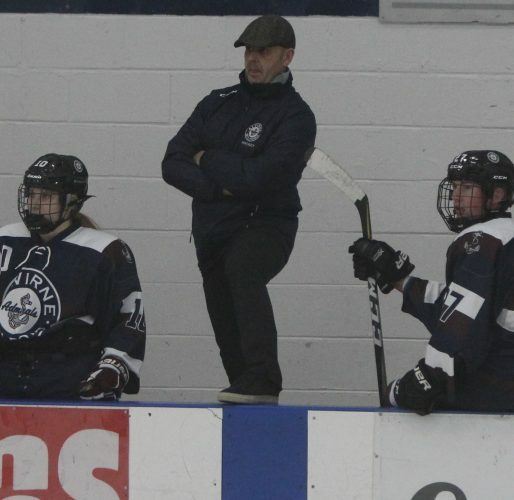 After having had a six-game winning streak ended by back-to-back losses to lowly Pinkerton (1-9) and then rival Nashua South last week, coach Steve Lane and his 7-3 North Titans stepped into their Tuesday night battle with a 10-0 Exeter Blue Hawks’ bunch which had bested eight of its 10 victims by double-digit margins. North showed plenty of fight in bouncing back from a 21-point deficit in the third quarter to trail by a more manageable 12 at the close of that stanza. But veteran coach Jeff Holmes’ Seacoast squad drove its lead back up to and over 20 in the fourth period and ended up winning handily, 78-53. Stepping into the extremely challenging contest having dropped two straight decisions, the locals managed to stay with their tough and explosive guests pretty well in quarter one, trailing by four at 16-12 at its close. 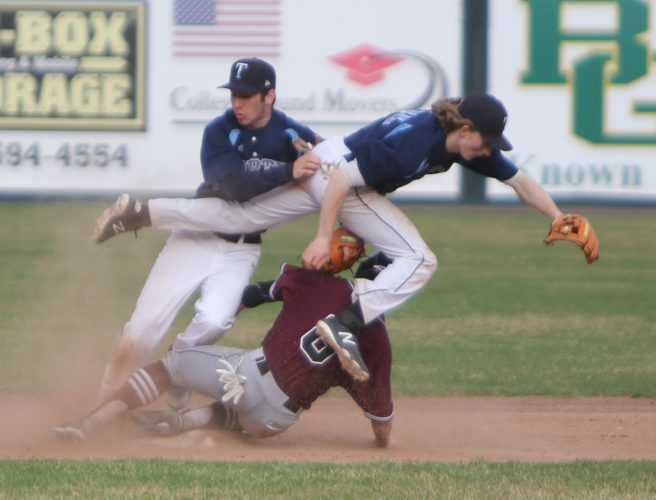 However, Exeter showed why it came in having won 10 consecutive Division I decisions by tearing off a 12-0 run after the Nashuans had gotten within a bucket of a tie several times in the second. The Blue Hawks’ ability to half-court trap well – and the turnovers garnered from that effort – helped the visitors carry a pretty pleasing lead of 15 points (32-17) into halftime. Athletic Exeter senior forward Kevin Henry had 14 points before the break. He would go on to lead all scorers on this evening. The Titans saw their deficit bulge to as many as 21 points in period three, but a concerted effort led by junior guard Brenden Choate closed the gap to 11 at 54-43 with 1:20 to go in that quarter. And at period’s end, Nashua was within striking distance of a full comeback with the score sitting at 56-44. 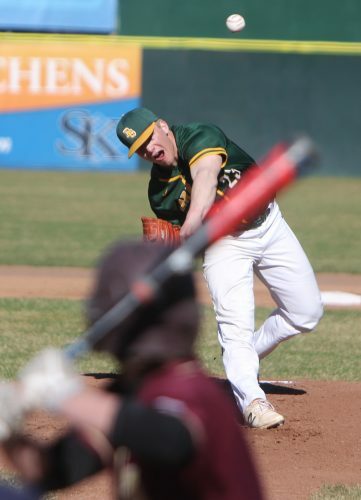 However, explosive Exeter once again showed just how dynamic its offense can be during the opening moments of the fourth quarter, netting 10 of the first 11 points and placing the North comeback hopes in the nearest garbage bin. Henry finished the night with a game-high 24 while his teammates Ryan Grijalva and Josh Morissette each tallied 17. And 17 was the number Titan Choate finished with in leading his scuffling side. Curtis Harris (13) and Nate Kane (10) also finished in double figures for the hosts. 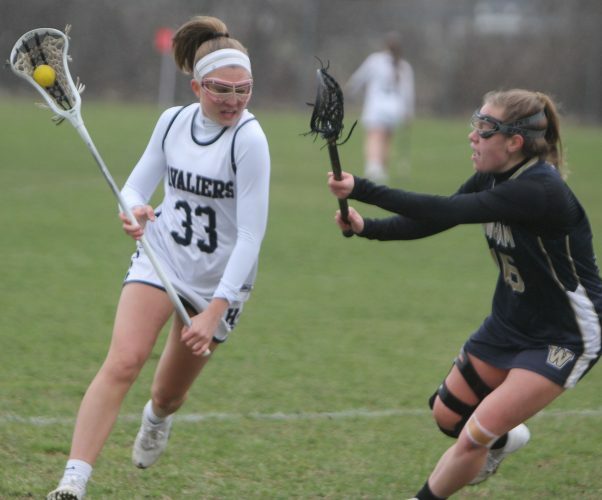 The Nashuans will attempt to end their now three-game losing skid at home against the struggling Windham High contingent on Friday, while Exeter looks to move to a perfect 12-0 when it travels to Bedford that same night.